Mushrooms are a potent and versatile ingredient, lending a meaty texture and flavor-enhancing savory compounds to sauces, stir-fries, casseroles and other dishes. Unfortunately, their culinary virtues don't include durability; mushrooms are a notoriously short-lived ingredient. They'll rapidly develop a slimy, malodorous surface if moisture is allowed to accumulate, and, like many fruits and vegetables, they're prone to rapid browning. You can slow the browning process and extend their shelf life by observing a few basic guidelines. Mushrooms brown because of a chemical interaction between atmospheric oxygen and naturally occurring enzymes in their own cells. When exposed to oxygen, those enzymes create a protein-dissolving brown surface, which is intended to act as the mushroom's irritating chemical defense against tiny worm or insect pests. To keep your mushrooms in their freshest, most appealing condition, you must take steps to minimize this effect. 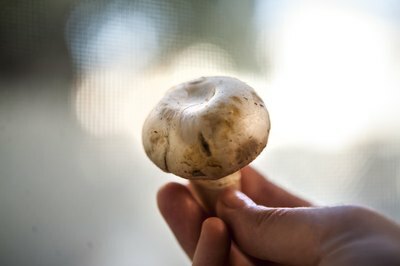 Bruising and other physical damage accelerates mushrooms' browning tremendously because it causes a rupture in their internal cell walls and releases enzymes to interact with the outside air. If you're buying mushrooms in sealed packages, look for specimens that show no dents and no sign of being flattened by the weight of other mushrooms above them. 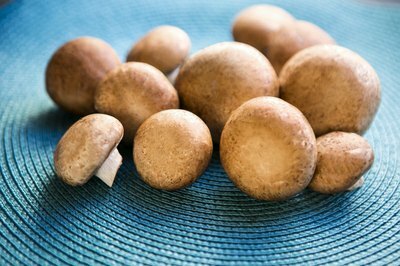 In the case of loose mushrooms, choose fresh, flawless specimens without visible blemishes and place them carefully in a paper bag. 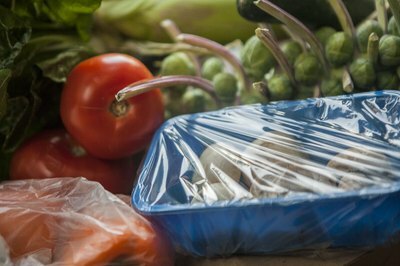 Be sure not to place them in a bag with heavy or rigid items or to let your store's packer do so. Whole mushrooms brown slowly even when they're undamaged since, instead of a tough skin like most fruits or vegetables, they're protected only by a thin, permeable membrane. If you wash or wipe the mushrooms clean before you plan to cook them, you remove even that modest protection and speed the browning process. The same is true of sliced mushrooms, which expose more of their surface to the outside air. As with other chemical processes, the oxidative reaction that causes browning occurs more slowly at low temperatures. Storing your mushrooms in the refrigerator capitalizes on this simple scientific fact and extends their usable life significantly. Acidity also slows the chemical reaction noticeably, a useful detail if you're preparing sliced or washed mushrooms for a vegetable tray. 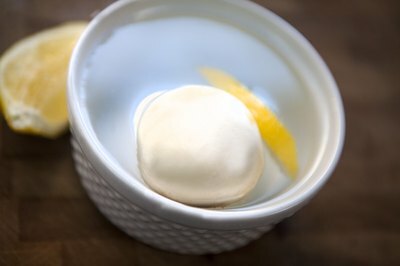 If you dip the mushrooms briefly in water containing lemon juice, citric acid or ascorbic acid -- aka vitamin C -- they'll stay pale and beautiful for hours. Mushrooms will spoil quickly in the presence of moisture, so it's important to keep them dry. On the other hand, they're composed primarily of water, and will become tough and leathery if not protected from evaporation. 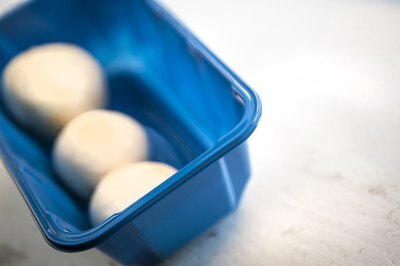 Shrink-wrapped packages of mushrooms are covered in plastic film to protect the mushrooms and either a paper-pulp tray or a foam tray with an absorbent liner to moderate their moisture level. 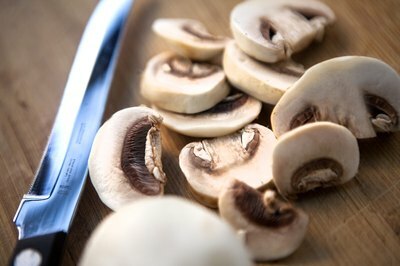 Loose mushrooms fare best in a brown paper bag, which allows the mushrooms to breathe, but they can be over-wrapped with a plastic bag to prevent drying.